Julia Mamaea was the Mother of Severus Alexander. Size : 20.7 x 21.5 mm Weight : 5.20 grams. 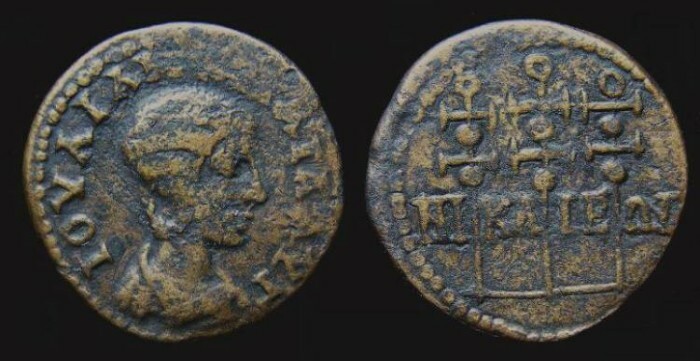 Obverse : Head of Julia Mamaea right, with a IOULIA MAMAIA AUG around (a few of the letters are weak). Reverse : Three military standards, with NIKAIEWN across the standards.